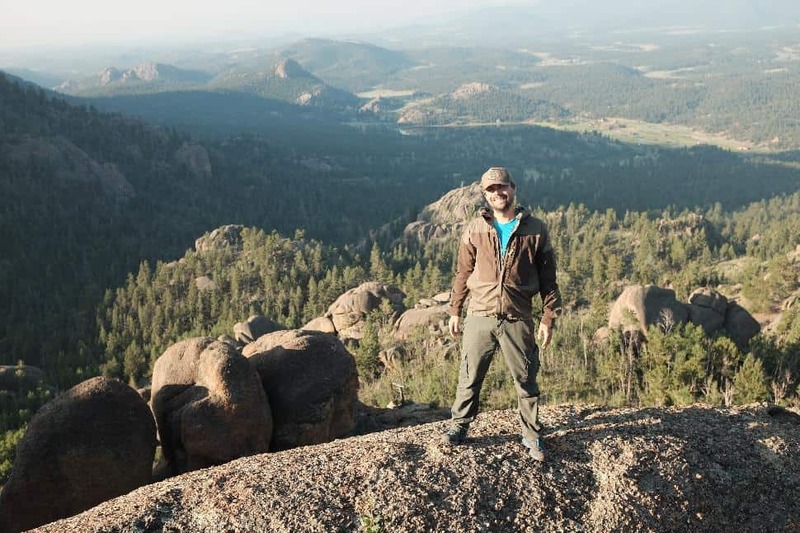 From atop Lizard Rock, it’s a panorama for miles over tinder-dry ponderosa pine, textured sandstone and the crags of Colorado’s Front Range. Basked in early morning light, the scene seems manifested from a Zane Grey novel. So why am I staring at a housecat? M.J., named for a late pop star with the same initials, is a ginger feline of barely three kilos. Yet, she had still managed to hike four kilometres and 450 vertical metres from our homebase at Tarryall River Ranch. I expected as much from Molly, the ranch’s thunderball lab-collie mutt. 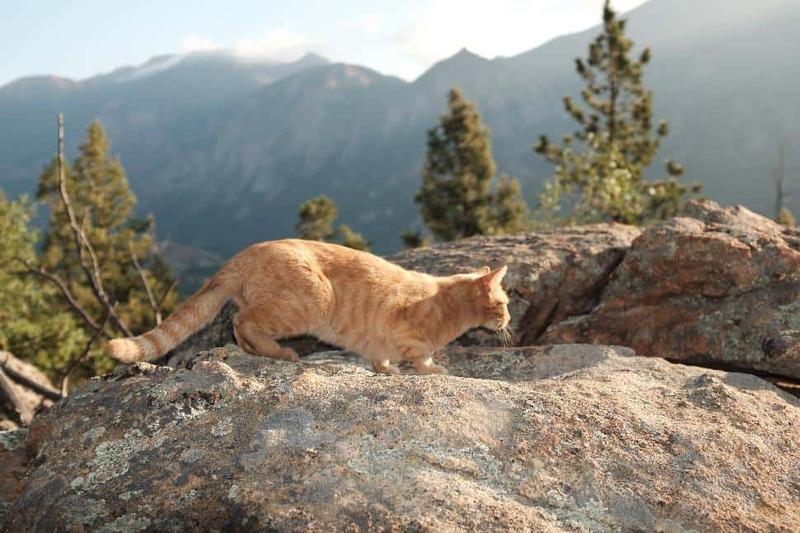 However, on sun-bleached sandstone at 3,100 metres above sea level, I wondered morosely—will the cat come back? Colorado is for the wild ones. Home to 58 Fourteeners—peaks higher than 14,000 feet (4,267 metres)—27 ski resorts (many of which offer summer recreation) and 26 guest ranches, this active-living Rocky Mountain state aims to wear out your bootleather but quick. 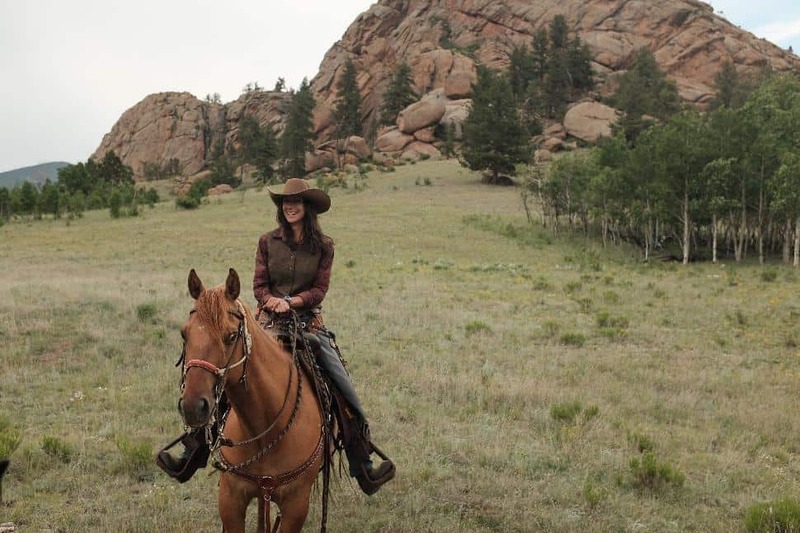 For me, a weeklong tour will only scratch the surface of hiking trails on Vail Mountain and convey but a taste of cowboy culture at Tarryall River Ranch. Outdoorsy as it is, this Swing State also juxtaposes itself. Colorado is both left-leaning and gun-toting; with dude ranches and an avant-garde arts scene; home to card-carrying Republicans and legalized marijuana. In fact, with a tie-dyed cannabis dispensary in every mountain town, it’s simply too difficult to resist the “get high” pun. As I arrive in Vail Village, two hours west from Denver, I seek to purge it from my system posthaste. It’s easy to get high in Vail. The main village sits at 2,475 metres—for comparison, that’s already loftier than the summit of Blackcomb Mountain—and Vail’s Mountaintop Express chairlift unloads riders at a breathless 3,530 metres. Just a simple lift up the Eagle Bahn Gondola outs me at the same elevation that requires airplanes to use supplemental oxygen. I find the atmospheric sensation similar to returning to work after a glass of beer at lunch—you just feel a bit off. Like so many ski resorts, Vail is pushing hard into warm-weather recreation. Hinting at this increase in hiker tourism, a large collection of put-and-take trekking poles sits outside the Eagle’s Nest lodge, jumping-off point for a network of trails that tease with views over the whitecapped Sawatch Range. Ptarmigan Loop scoots up 200 vertical metres and treats hikers to an unobstructed vista of Mount of the Holy Cross. Grand Escape leads left to the mountain summit. And Berry Picker Trail, the longest of the bunch, meanders downslope to Vail Village; dropping 680 metres in five kilometres of well-marked trail. After enough time in the clouds, I head along the Berry Picker, which snakes through intermediate ski runs divided by aspen stands. Patterns on the trees’ bone-coloured bark resemble eyeballs; bark that has long been known to harbour anesthetic properties. I learn that aspens are the largest organisms on Earth—each multi-trunk stand is actually a single tree with a unified root system. Vibrant columbines, bluebells and Indian Paintbrush mark the trail further on as the oxygen thickens toward Vail Village. Beyond the Berry Picker, single-track and freeride mountain bike trails beckon. Atop the hill, a 365-metre zipline scoots through the sky near an aerobatic Ropes Course; both offering entertainment for the peanut gallery at Eagle’s Nest lodge. Hiking guides for-hire unveil vast mountain terrain in adjacent White River National Forest. And, of course, it’s only a few months until the snow flies—just enough time to tire of these dirt paths and get in shape for skiing. “It’s a simple life, but I love it,” says Paula Gonzalez Del Real, co-manager, alongside her husband, Colton Gaiser, at Tarryall River Ranch. She speaks of her year-round residence in the rolling landscape of Colorado’s Front Range, surrounded by rock outcroppings, big ponderosa pines and not much else. Mountain-set at 2,600 metres above sea level and about 80 minutes from Colorado Springs, Tarryall has been an operational guest ranch since 1936. Folks come here to ride horses—any experience level is welcome—and hike dusty alpine trails that stab into the 4,500-sq-km Pike National Forest. It’s a place one might expect to harbour surly old cowboys, but is instead run by an unlikely youthful staff. Paula is 24, Colton is 26 and the rest of the cowfolk are the same age or younger—mostly university students—save Pete, the longstanding chef famous for his Peanut Butter Pie. “This a place to unplug. We encourage people to leave the technology behind… It’s great to see families reconnect. Some families come here with real problems, but the ranch gives them a chance to reconnect and begin to heal,” continues Paula. Guests often show up hooked to their iPads, she says, but are soon trail riding all day and playing cards and hide-and-go seek at night. “We do get the John Waynes who come here and want to be those rugged cowboys… but our big emphasis is on safety and proper horsemanship,” says Paula. Every guest starts on the same playing field and progresses through their six-day stay on the same horse according to skill level. At Terryall’s livery, I meet Checkers—a black beauty Quarterhorse with a propensity for snacking on leftover hay and rough weeds. I’m a hiker not a horseman—but given that thin-air altitudes easily top 3,000 metres in these parts, trotting through the trails via equine shows its merit quickly. Paula, and the rest of the cowgirls—the staff is predominantly female—instruct well. A total greenhorn, I surprise myself with a quick progression from uselessly flopping atop my saddle like a trout, to a commanding whoa, efficient steering, the occasional trot and general good rapport with Checkers. I even manage to dissuade him from munching thistles as we ride past sagebrush and locoweed, aspens and ponderosas, on our exploration of the wild spaces for which Tarryall is the gateway. I’m out the door at 6:00 a.m. the following morning. Our destination is Lizard Rock, a first hiking foray into the network of trails that supplements horsepacking at Tarryall. At this elevation, the morning climate is pleasantly cool as we wander into Pike National Forest towards a looming sandstone monolith some 450 vertical metres above. Paula points out nearby high-pass hiking trails, where one might find a bristlecone pine—the oldest living trees on the planet. Gnarly and rare, these conifers can live for more than 5,000 years, and only grow between about 2,700 and 3,400 metres. Winded on Lizard Rock, we sip black coffee and revel in the view. The Front Range is boundless. The great alpine spaces that Paula and Colton have fallen in love with as much as they have one another are powerful in their silence. A week here would at once pass quickly and slowly. The spell breaks—a cowboy breakfast waits back at the dining hall, as does cheeky Checkers and the rest of the stable for a late-morning ride. Bacon and eggs, strong coffee and good conversation, a borrowed Stetson from the hat library and another lesson in cowboy arts will mark the day. And yes, the cat came back—indefatigable and Colorado Strong. Upper Piney Trail: Located 25 km north of Vail, near Piney River Ranch, this 10-km (return) trail gains 170 metres as it climbs toward Knee Knocker Pass, with a stunning waterfall vista just five kilometres in. 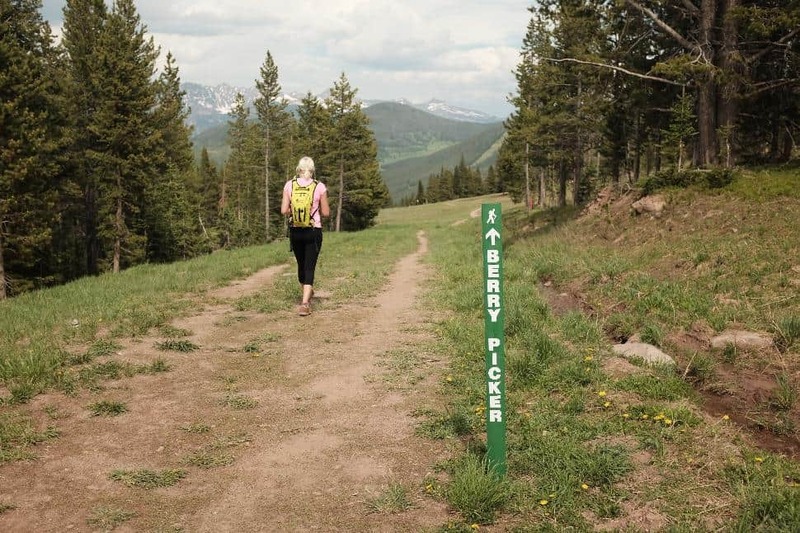 Berry Picker Trail: Crisscrossing ski runs as it passes through aspen stands, this classic Vail Mountain trek climbs 680 vertical metres in just 5.2 km. Hike up, gondola down—or vice versa, if the altitude presents a problem (this trail tops out at 3,155 metres). Cross Creek Trail: At a challenging 18 km (linear), this local overnight hike provides beautiful views toward Mount of the Holy Cross (a Fourteener) as it climbs from 2,600 metres to 3,440 metres. Continue for adventurous backcountry backpacking or return the way you came. 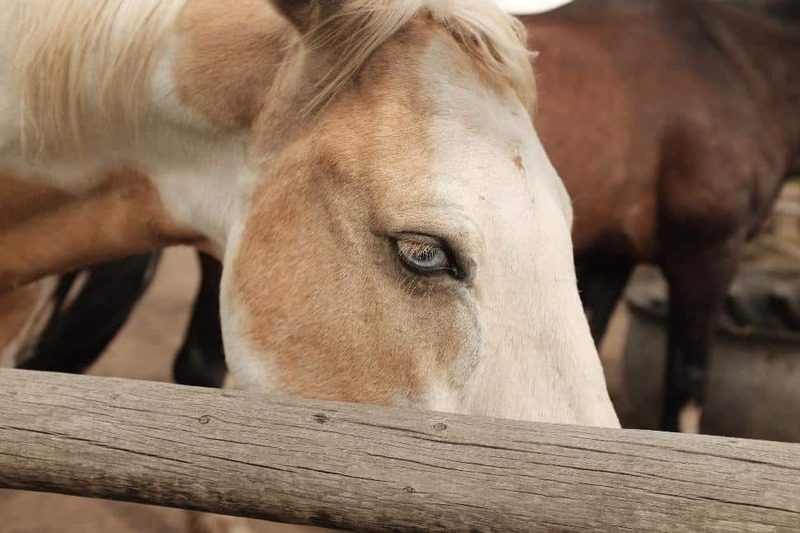 Tarryall River Ranch’s six-night packages include lodging, meals, horseback riding and activities ranging from whitewater rafting, to guided hiking, to trap shooting. Reduced rates and adults only in September. Along with being a world-class ski resort, Vail Mountain is a vibrant warm-weather destination—abundant hiking, whitewater rafting, a zipline and lift-accessed mountain bike trails are highlights. Stay at the artsy Sebastian Vail; savour a rotating menu of modern American cuisine at Mountain Standard; sip an artisan cocktail at Frost Bar (in the Sebastian Vail).